Beyond Belief Jesus Saved You … Now What? Abby Kelly, skillfully, lovingly and honestly bridges the natural question any new Christian would have right after accepting Jesus as their Lord and Savior. What next?… In this compassionate and easy to follow step by step study she tells you how to start and stay on the road to spiritual maturity. She makes the process light, fun and easy. She is thorough in her definitions of the Greek words that pertain to each daily study and she asks you to read through the relevant scriptures; asking questions to guide you to the glean all God has for you in each scriptural passage. Her approach is personal and warm and her teaching method is very conversational in style. Abby also gives you her personal insight into each question and answer session in the book. Her love for Jesus, people and the scriptures comes shining through every written page in this study. You cannot help but mature in your knowledge of God after walking page by page with Abby in this refreshing and delightful bible study. I’m honored by this review, Greg. Thank you! I seldom say, “Everybody can benefit from this,” because we are all different. Without any doubt, though, I can say, “Beyond Belief can bless everyone!”. Whether your salvation took place today or decades ago, this book is a Holy-Spirit crafted tool that will deepen your maturity. 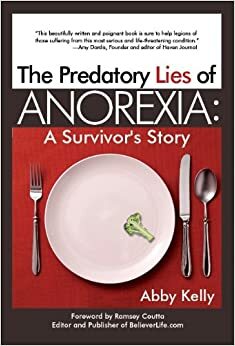 Abby Kelly clearly partnered with the Spirit in writing this book. Expanding the definition of maturity to incredible depths, the study clears a path for believers to walk upon. Exploring maturity as a key to unity, Abby builds a beautiful case for pressing into the design of God. Moving on to the topic of humility and then moving on to masterfully balance grace and law, the guide helps believers march forward to freedom. This study guide provides disciples with an awesome journey; I will be taking the journey again. Kelly carefully closes the study by leading the reader to explore the depths of a love-powered, spirit-filled walk that produces for eternity. Beyond Belief is the study every Christian needs to live the life Jesus intends for us to live! Ashley, I’m humbled and honored by your review. Thank you! 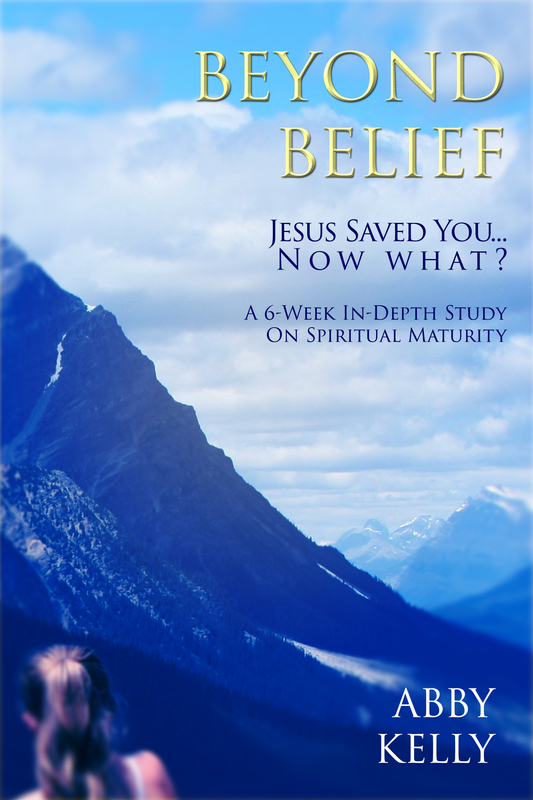 Beyond Belief: Jesus Saved You..Now What? is a penetrating Bible study. I’ve been a Christian for twenty years and was seeking something that would not only provide structure during my time with God–which Abby Kelly’s study provides–but a new and fresh dimension to my relationship with Jesus. God answered my desires through this wonderful book that I also used as a journal. Thankfully, interacting with Beyond Belief: Jesus Saved You…Now What? coincided with some challenging emotional hurdles in my life, through which I have become more grounded in God’s love, experiencing how much of an anchor His Spirit is inside of me. I ear-marked several parts of the study for future reference, but the most powerful take-away for me at this time in my life was in Week 3, Day 5, receiving more tangibly God’s “matchless, unbroken companionship.” The whole study could be said to inspire this unbroken companionship between God and His child, and to minister to feelings of disappointment and loneliness. The Spirit-led progression of the study prepared my heart and mind to experience a more satisfying fellowship with Jesus and the joy that I felt when I noticed His help, input, and presence more often. Objectively, Abby Kelly’s theology is solid. As a Christian who details a few stories of her own, she is aware of the pitfalls that Christians can easily fall into–and then uses the correct application of scripture to edify and encourage. Additionally, her writing voice is loving, gentle, yet precise, and at times, humorous. At the end, I was thinking of who I might pass the book onto, but then remembered the personal notes throughout, and was kind of glad that I will have it to refer back to. The study pointed me to love, and how everything I think I might do for God is worthless if not done out of love. Highly recommend.